The trade and diaspora of Chinese works of art have been truly extraordinary in geographical and temporal scope. Shards of Ming blue and white have been excavated from sites throughout Southeast Asia, North Africa, and the coast of California. Longquan celadons can be found in the collections of Mughal emperors and Persian Shahs, while the first piece of Chinese porcelain (a Qingbai vase presented to Pope Benedict XII) was recorded to have reached Europe as early as 1338. So long have societies set sail and trade routes flourished, Chinese decorative arts have variously served as cultural ambassadors, transmitters of ideas, and treasured commodities. 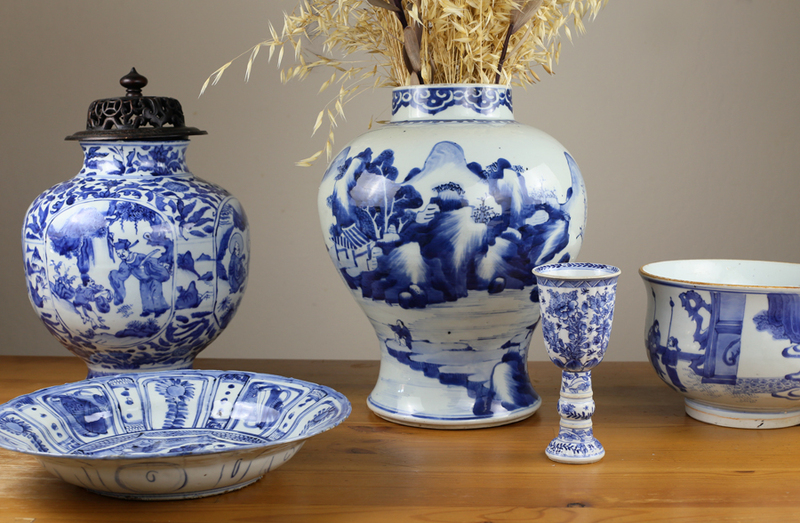 In each piece of Chinese ceramics is also history encapsulated—a long, continuous artistic tradition that stretches back 20,000 years, when Neolithic societies near Xianrendong Jiangxi province began producing the world’s first pottery vessels. In this sense, we are but students of history, aiming to promote the continued study and appreciation of Chinese decorative arts around the world. Each piece comes to us as an important guest to be researched, safeguarded, and passed on. We take pride in our serious devotion to scholarship; every object in our inventory is backed by an indefinite authenticity guarantee. Marion M. Yang, owner and principal, graduated from Harvard University in 2013 with a B.A. in history and literature. She is the recipient of the Harvard Conant prize, and was awarded the 2013 Harvard Bowdoin Prize (presented each year to exactly one undergraduate student in the humanities) for her work on late 18th century Sino-American trade. Marion has received museum training in the Chinese art and European-American decorative art fields. Ascot Court Antiques is sentimentally named after Ascot Ct., the street on which Marion and her family resided during her childhood and adolescent years. It is on Ascot Court that she first began collecting and reading books on Chinese art history.